This time of year many people are searching for ways to fight fatigue. The hustle and bustle of the holidays is exhausting, especially for people like my wife, Connie, who goes overboard cooking, shopping, entertaining, and decorating. Shorter days of winter are another factor. Darkness stimulates the production of melatonin, and 5:00 sunsets ramp up the “sleep hormone” earlier in the evening, making us feel tired and ready for bed. Vitamin D also figures in. Levels of this sunlight-dependent vitamin plummet during the winter, and deficiencies are associated with fatigue and muscle weakness. The scarcity of sunlight hits some people like a sledgehammer. Seasonal affective disorder (SAD), which comes on only during the fall and winter, is marked by fatigue and lethargy as well as depression, carbohydrate cravings, and weight gain. Most of us tend to slow down during the wintertime, but individuals with SAD just want to curl up in bed. To truly fight fatigue, we need to figure out what’s causing it and go from there. Flagging energy isn’t only a seasonal problem. Fatigue could be an indication you need more sleep or have an underlying issue like sleep apnea. It is a cardinal sign of hormone imbalances, especially low thyroid and testosterone, and a symptom of a wide range of diseases. 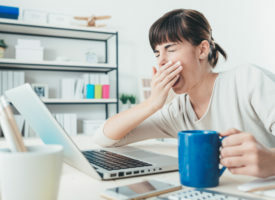 Fatigue is also a side effect of a long list of medications, including opiates, sleeping pills, mood-altering drugs, antihistamines, some blood pressure and stomach acid-reducing meds, and cholesterol-lowering statin drugs. Statins, for example, block production of coenzyme Q10 (CoQ10), which depletes cellular energy and causes muscle weakness, pain, and generalized fatigue. There are relatively easy solutions for these common causes of fatigue. Slow down, manage your time, and de-stress. Honor your body’s circadian rhythms, go to bed at a reasonable hour, and consider sleep apnea testing. Take vitamin D supplements, and treat the winter blues (SAD) with full-spectrum light therapy. You can also fight fatigue by optimizing hormone levels with bioidentical hormone replacement therapy, and swapping energy-sapping medications with natural alternatives. Then there’s chronic fatigue syndrome (recently renamed systemic exertion intolerance disease), a debilitating condition that profoundly affects the lives of millions and has stumped doctors for years. Called the “disease of a thousand names,” it has been mistakenly identified as fibromyalgia, Lyme or Epstein-Barr infection, encephalomyelitis, yuppie flu, hypochondria, and much more. This is understandable because chronic fatigue is hard to pin down. The official diagnostic criteria are overwhelming fatigue lasting six months or longer that substantially interferes with day-to-day activities and is worsened by exertion, unrefreshing sleep, plus cognitive impairment and/or worsening of symptoms when sitting or standing. Unfortunately, many patients also suffer with muscle and joint pain, swollen lymph nodes, sore throat, headaches, cognitive and gastrointestinal (GI) problems, and hypersensitivity. The only good news about chronic fatigue is that more doctors are recognizing that it as a complex systemic disease, rather than a symptom of another condition or a psychological disorder. The bad news is they don’t know what to do about it. Underlying causes remain a mystery. Research points to a role of inflammation and immune system disruption, as the condition is often triggered by an infection or chemical exposure. Changes in specific areas of the brain are also being studied, as are genetic, metabolic, and biochemical abnormalities. Some scientists believe it may be some sort of protective mechanism gone wrong, as chronic fatigue’s markedly slow “metabolic signature” is similar to hibernation, the dormant state some animals enter during times of environmental stress. As for treatment, patients are prescribed a number and variety of medications. However, a recent meta-analysis concluded, “…no universal pharmaceutical treatment can be recommended.” Graded exercise (starting very slowly and gradually increasing) and cognitive behavioral therapy (short-term, goal-oriented psychotherapy) have demonstrated benefits, but there’s a good deal of controversy over study results. Research suggests nutritional supplements that support mitochondrial function and address oxidative stress are helpful, and there’s evidence that acupuncture, hyperbaric oxygen, and IV therapies improve symptoms and quality of life. This is the treatment protocol we use at Whitaker Wellness to fight fatigue of all types. In addition, we couple these therapies with modalities that address pain, GI problems, and other symptoms unique to each patient. Most of you reading this aren’t dealing with chronic fatigue, but who doesn’t want more energy and stamina? The best way to fight fatigue is to start with lifestyle changes. Adequate sleep is a no-brainer, but regular exercise, stress management, weight loss, a good diet, and daily multivitamins also help immensely. Coffee, America’s favorite pick-me-up, not only increases alertness, energy, and endurance but also has a plethora of health benefits. “Energy shots” and other products that boast instant or long-lasting energy generally get their oomph from caffeine or caffeine-containing herbs such as guarana. Occasional use is okay, but I recommend getting your caffeine fix from coffee or tea. B-complex vitamins are famous for their ability to boost energy and fight fatigue, especially in people with B12 deficiencies. Coenzyme Q10, an essential cofactor in cellular energy production, has been shown to reduce fatigue and the energy drain of statin drugs. Adaptogenic herbs such as ginseng, ashwagandha, and rhodiola have a long history of enhancing physical/mental energy and stamina. Creatine increases endurance during high-intensity exercise, and L-carnitine has positive effects on fatigue and exercise tolerance in older people. Nicotinamide riboside, a form of vitamin B3, is a precursor to nicotinamide adenine dinucleotide (NAD+), which, like CoQ10, is required for energy generation in the mitochondria of all cells. Stores of this essential compound decline with age and illness, and increasing levels holds great promise for improving energy, stamina, exercise endurance, and athletic performance. NAD+ also promotes the activation of situins, proteins that mimic the anti-aging effects of caloric restriction. Therefore, this supplement may help with weight control, insulin resistance, metabolic syndrome, and healthy aging as well. While there’s no such thing as a magic “energy pill,” these strategies will help naturally fight fatigue and put the pep back in your step—not just this holiday season but year-round. Suggested daily dosages are vitamin D3 2,000-5,000 IU, vitamin B12 150-400 mcg (up to 5,000 mcg to correct deficiencies), coenzyme Q10 100-300 mg, L-carnitine 2 g, and nicotinamide riboside (Niagen) 250 mg twice a day. Take adaptogenic herbs and creatine as directed. Look for these supplements online or in stores or call 800-810-6655 to order. 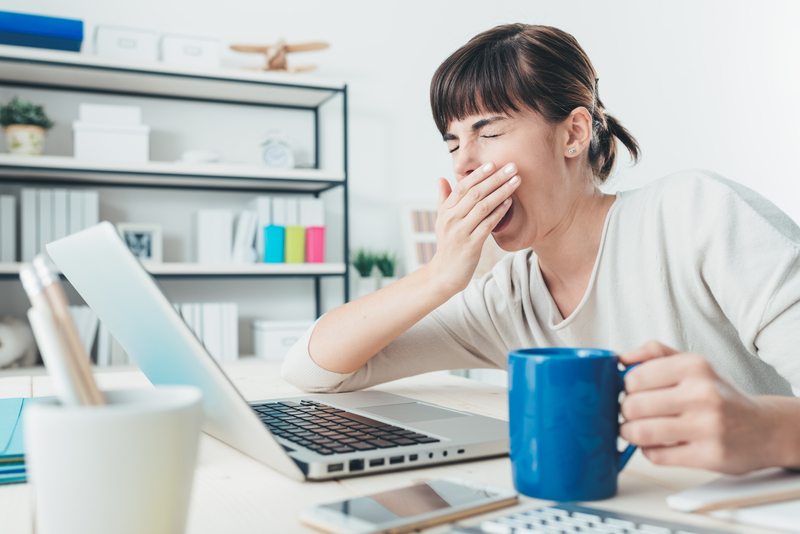 To learn more about how we fight fatigue and treat chronic fatigue at Whitaker Wellness, call 866-944-8253 or fill out this form to schedule a complimentary consultation with one of our Patient Services Representatives.